If you’re an entrepreneur, you probably already know a little about incubators. These programs select a few lucky startups from a sizable pool of applicants based on the strength of the idea, the founder’s experience and progress, and the startup’s potential for success. In exchange for a small percentage of the company, those who are chosen are provided with the resources, training, and investor connections needed to develop those ideas into a viable reality. Though the whole incubating process happens somewhat behind the scenes, we’d all be lost without incubators—no filesharing via Dropbox or hunting down the perfect vacation getaway through Airbnb, for starters. Below are 7 major players in the incubator field and what you need to know about them. This Pittsburgh-based program prides itself on smaller “class size,” working with 6-8 startups at a time in contrast to the larger numbers that other incubators can sometimes accumulate. Innovation Works, AlphaLab’s parent organization, makes investments of $25,000 in the selected startups—and you don’t even need a business plan to apply. Particularly geared towards scientific companies, the University of Texas at Austin’s incubator assists startups not only in achieving initial success, but remaining competitive in the fast-paced capital market. Founded in 1989, ATI draws from a wealth of university resources to provide selected startups with one-on-one mentorship and instruction to help them get the funding they need. While ATI itself does not provide startups with funding, 85% of the the incubator’s graduating class received third-party funding in 2012. Located in Cincinatti, The Brandery assists chosen startups in building an entire brand (in addition to the product) to increase the likelihood of success. The incubator selects 10-12 companies at a time to work with a $50,000 investment. Since it was founded in 2010, The Brandery has proven a great fit for especially consumer-focused startups. Primarily centered in Philadelphia, this incubator manages four American accelerators as well as an international location in Tel Aviv. DreamIt Ventures works primarily with startups concentrated in healthcare, education, and consumer and enterprise technology, making investments on a rolling basis anywhere between $25,000-100,000. 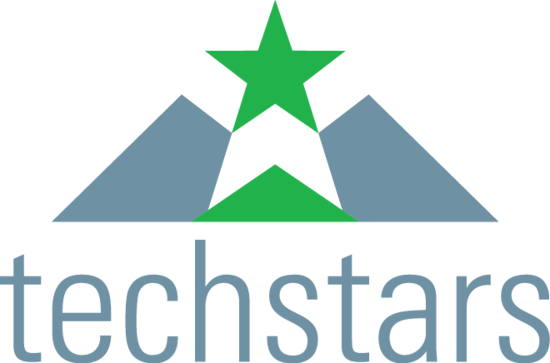 Currently boasting 8 different locations, Techstars’ franchise-like style has proven successful since the incubator’s inception in 2006. Those who find themselves among the selected 1% will have access to “perks” that Techstars values at over $1,000,000. Startups can also receive $100,000 via a convertible note investment. Headquartered in Dallas, this mentorship-oriented incubator will invest anywhere from $10,000-25,000 in its chosen startups. 8-10 applicants are selected for Tech Wildcatters’ highly exclusive 12-week program that concludes with a investor “pitch day” rather than the typical “demo day” finale. This incubator takes a unique “batch” approach to its funding, investing $120,000 in a fairly sizable group of startups twice a year. Interestingly, Y Combinator is another incubator that’s uninterested in your business plan—the program instead makes its selections on the basis of application forms and interviews. Founded in 2005, Y Combinator is one of the oldest incubators in the field. If you want success stories, look here.